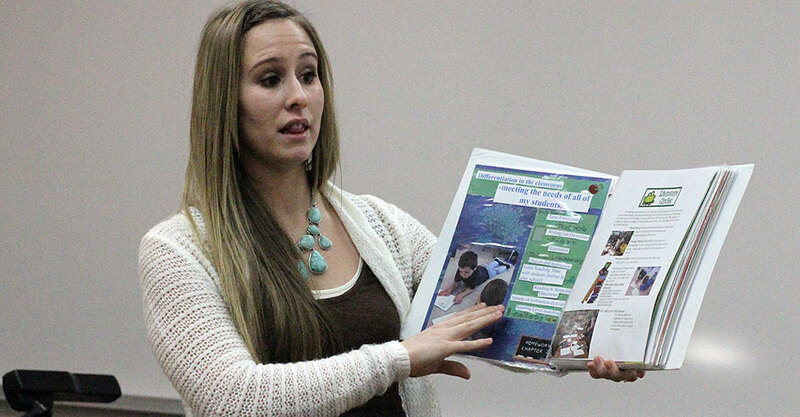 Education students from the University of Wisconsin-Stevens Point got a taste of what the future holds and learned valuable career basics at the annual School of Education Okray Colloquium on Tuesday, March 5. 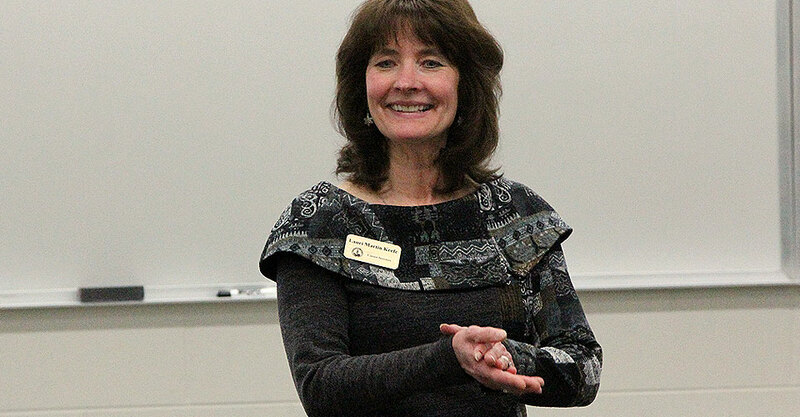 The Okray Colloquium is an annual free event made possible by the generous support from the Okray family and offers collegiality and professional development to UWSP’s preservice teachers. 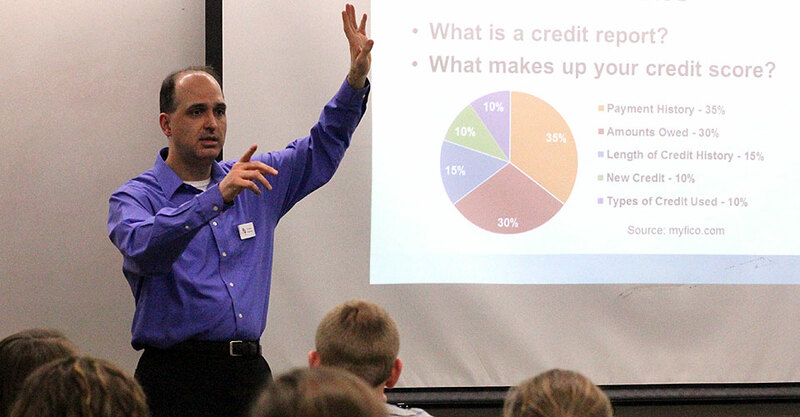 Lauri Martin Keefe from UWSP Career Services addressed students about résumé writing, Matthew Kovalaske and Mark Andersen from UW Credit Union presented about financial planning for teachers, and alumna Malinda Shanklin ’12, a first-year teacher, gave students advice about job hunting. Students also had the opportunity to have free professional head shots taken for use in their online portfolios. The colloquium was organized by Prof. Kym Buchanan and a committee of School of Ed student organization leaders.